I do realise I haven't done a makeup look in like forever and I really do apologise for this! I've been quite busy with bookings etc so I thought I'd share some of the looks I created on my clients whilst I get my makeup mojo back! Cream and green outfit with antique gold threadwork and diamantes. 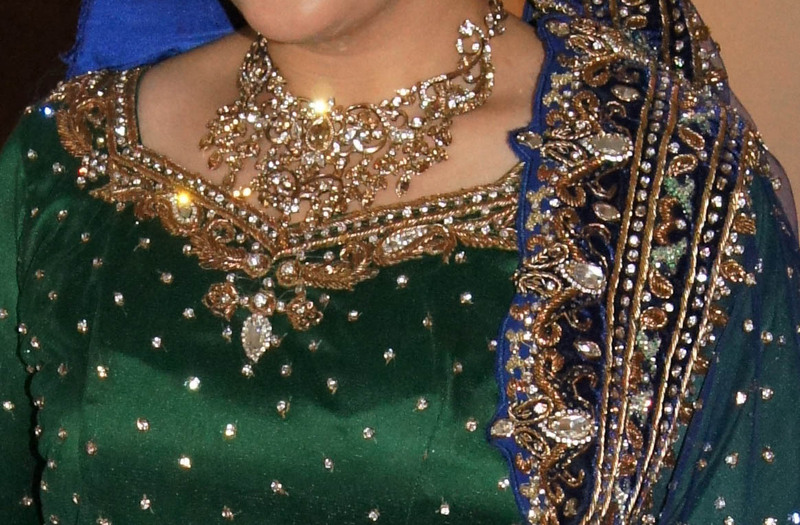 Turquoise/teal outfit with silver threading and diamantes. Green & purple outfit with silver diamantes. Another green & golden-silver outfit. 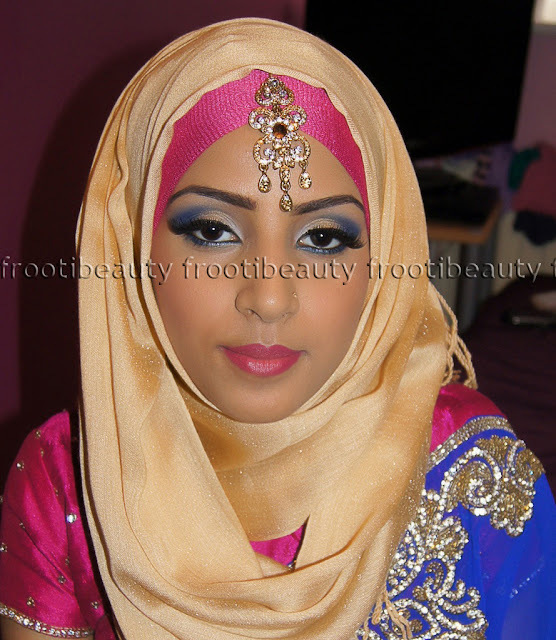 Bride A required two days of makeup and hair, the first day being a peachy-pink colour outfit and the next day with a blue & red outfit. 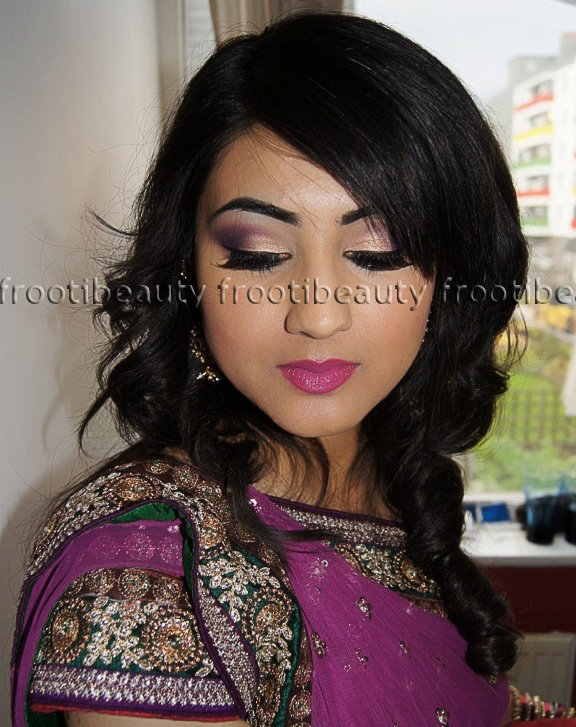 She didn't want very heavy makeup like the last bride, so I did a subtle look but matching her outfits both days. My cousin Farah - who does the hair in our team - did a bun and helped with the hijab & dupatta setting for the second day. I personally preferred Day 2 as there was more colour involved again. 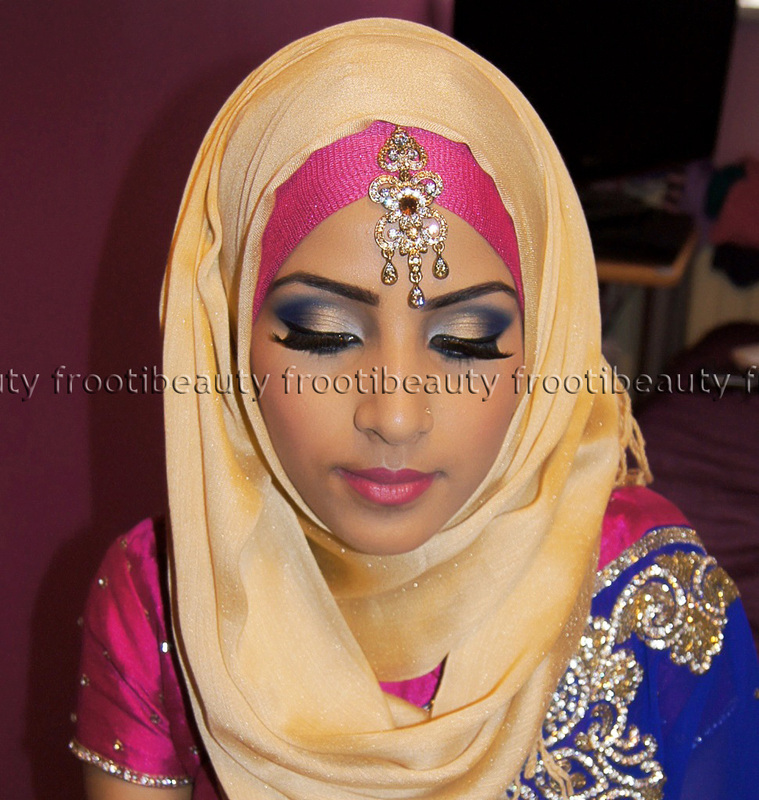 Be sure to join my facebook page Frootibeauty and mine and Farah's joint Safrah Beauty page for even more pictures including hair and mehndi/henna. Which looks did you like best? Hope you've enjoyed the looks as much as I did creating them! Hey guys, so after careful consideration and much thought I've finally picked a winner! It was a hard one because I liked so many of them but the one I liked best was chosen for its colours, use of glitter and clarity as well as it being a personal creation and following instructions/rules, which always helps! Congratulations Anne, please email me your address you'd like your goodies posted to! 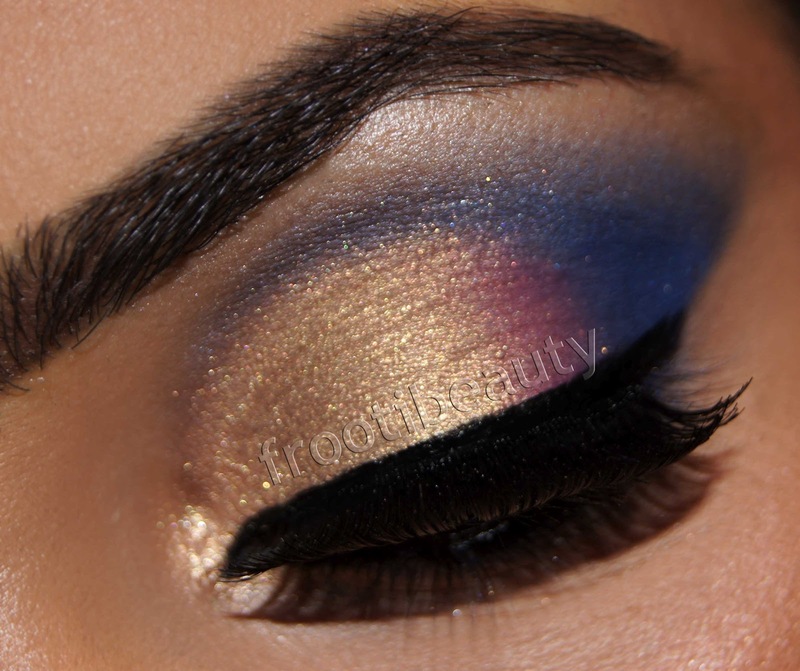 The makeup look was lovely and colourful, it had purple in it and also a bit of glitter which gets even more brownie points! 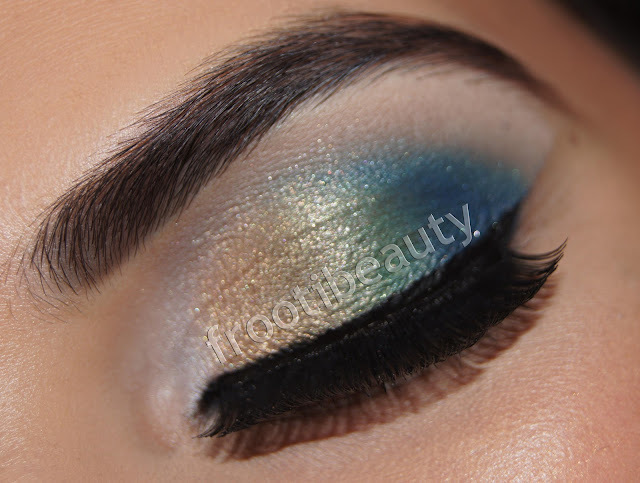 It's elegant and well blended too and something I think I could totally see myself wearing so thank you for your inspirational look! 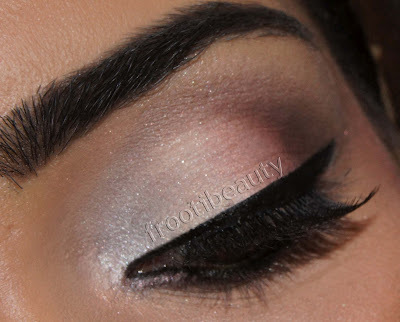 This look by Sam of Sam's Beauty Blog had me in awe too, the neutrals are so wearable and blended beautifully! And finally I adored this look by Alma! I could go all day posting the looks that I liked but I fear I'll oversaturate this post with pictures so these are my top 5 after the winner! I hope you enjoyed entering the competition as much as I enjoyed receiving these fab looks and look forward to holding an even bigger contest next time! So Product 2 of the TFWOC series is by Karamel & Brown. I was sent a Glow Crème and a lovely velvety tanning mitt. This product is described as an intensely moisturising creme with natural ingredients and anti-oxidants to create a long lasting glow that fades evenly. The packaging also says that the Glow Creme has an "instant bronzer guide colour" which I thought meant that it would be brown.. this product is a green colour and pretty much absorbs straight into the skin so you can't actually see where it's been applied! I applied it to my left arm with the mitt, but got no colour whatsoever so I applied it again and still no colour difference appeared, if anything my non tanned arm looked darker! As you can see, there's barely any colour difference at all! These pictures were taken at least 4 hours after applying the product which should be enough time for the product to develop, but there's pretty much little to no colour. Packaging: The packaging is quite basic but I like the logo and font on the bottle. 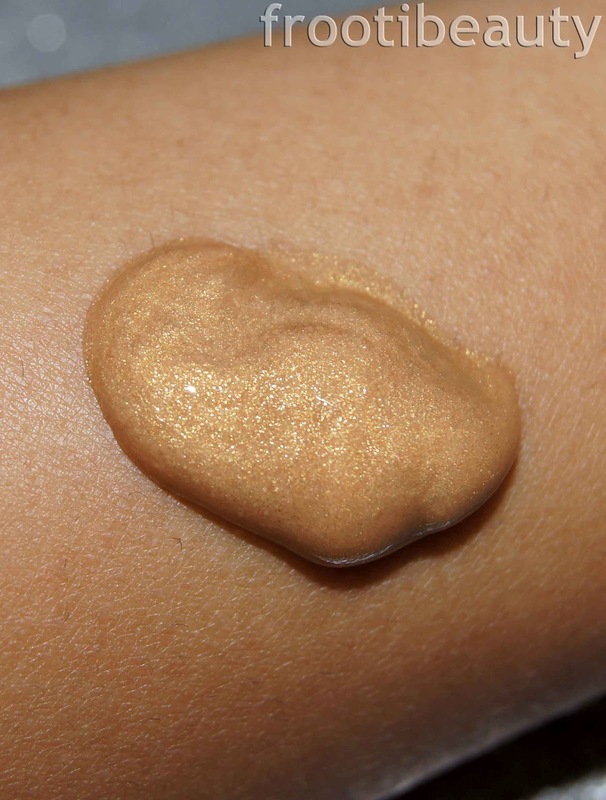 Texture: The product is a cream texture and sinks in to the skin pretty well. Key Ingredients/Facts: Karamel & Brown products have no parabens or alcohol and use organic Aloe Vera, vitamin rich moisturisers and "premium active ingredients". It does actually contain DHA (the active tanning ingredient) but it must be in the tiniest amount. Application: After the usual routine of exfoliating, shaving and moisturising before applying a tanning product, the K&B Glow Creme can be applied evenly and massaged in well, using sparingly on dry areas like elbows and knees. Smell: When first applied it smells of coconut which I love! After a while you can smell the distinct warm "biscuit-y" smell that all tanning products have. Who this would be perfect for: I'm not too sure who I think this product would be perfect for; at best I'd describe it as a coconut-tan smelling cream/lotion but there's barely any visible difference in colour between the two arms (or hands) above which isn't enough for me. I do think that it's very nice and moisturising and does feel lovely on the skin, however I personally am not too keen on smelling of the warm tan smell and could find other creams without the smell! 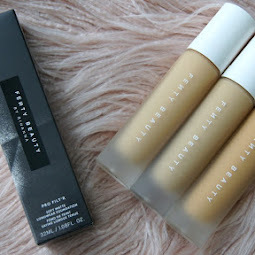 FrootiFactor: For a product free of parabens and alcohol it smells quite lovely on first application, however I'm quite surprised at the minimal effect this product had on my colour.. I didn't feel it gave my skin a "glow", I felt it just intensely moisturised it with a tan smell. For this reason, I give it only 2 FrootiFactors as I don't think this product is best suited to me personally. 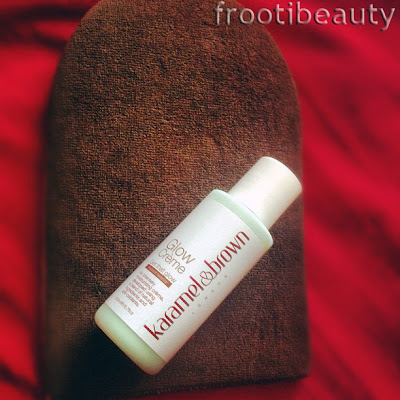 The Glow Creme can be bought in both 50ml (£6.95) and 200ml full size for £16.95 from the Karamel & Brown website. 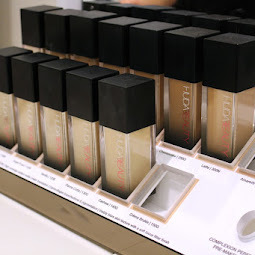 I've now received all the brands products in this TFWOC project including Vita Liberata, Make Believe and Xen-Tan, so look out for these reviews too! 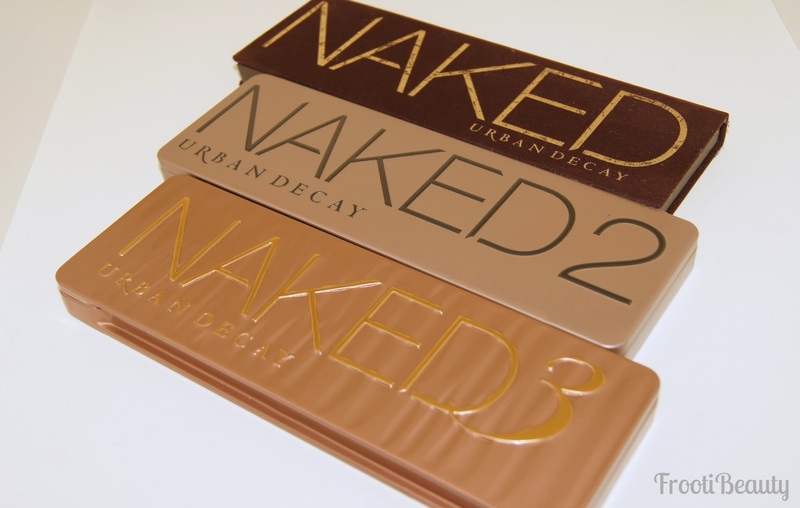 What do you look for in tanning products? Would you consider tanning if you have a fair amount of colour yourself? I'd love to hear your thoughts below! Hey guys, just a quick post here to remind you that the competition I'm running ends tomorrow night! For those of you who'd like to win all of these goodies (enough for a full face of makeup and more! 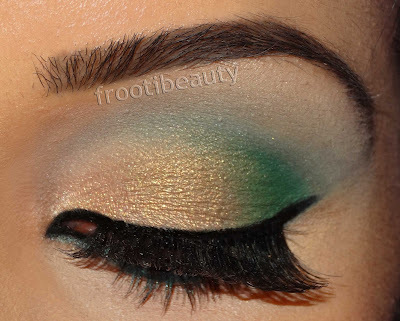 ), please send your makeup looks to enter@frootibeauty.co.uk. You can send as many looks as you like but only one will be picked to win, so get your entries in now! For full rules please click the "competitions" tab at the top of the page or click here. I look forward to picking a winner, good luck! I thought I'd share a few of the looks from two of the bookings to give some inspiration for outfits/wedding looks or if you just want to have a look at different looks to what I've already done. Royal blue and hot pink outfit with antique gold threadwork. The ever popular dress colour combination of purple and green but with red too. Threadwork was gold and silver. Bride S required two days of makeup and hair, the first day being the traditional red Indian outfit and the next day in a blue & green outfit. She didn't want very heavy makeup at all particularly for the red outfit day, so I did a subtle gold to red with a bit of brown in the crease and made sure the lashes gave maximum impact! My cousin Farah - who does the hair in our team - did curls to the side for the first day and a nice huge bun with plait for the second day. 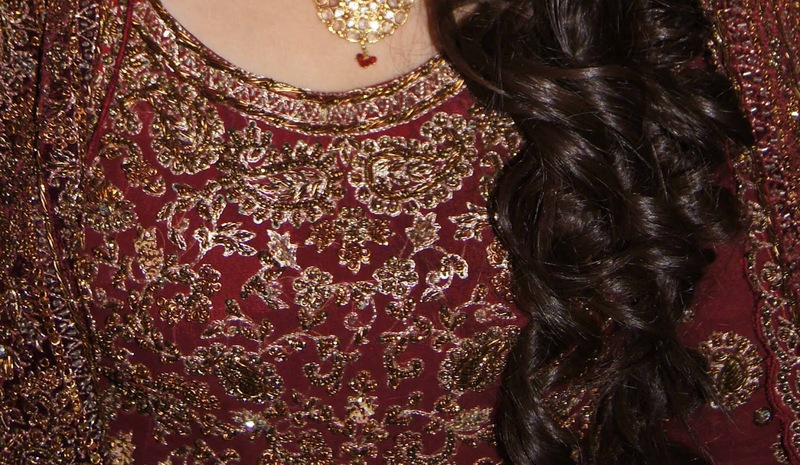 She did also do the mehndi (henna) for the bride, pictures will be uploaded soon to our Safrah facebook page! I personally preferred Day 2 as there was more colour involved (obviously!) and I have a thing for great big buns! I wish I could show all the looks I've done recently but I don't always get the time to take pictures unfortunately, particularly when there's a big group booking and everyone's in a rush to get ready! 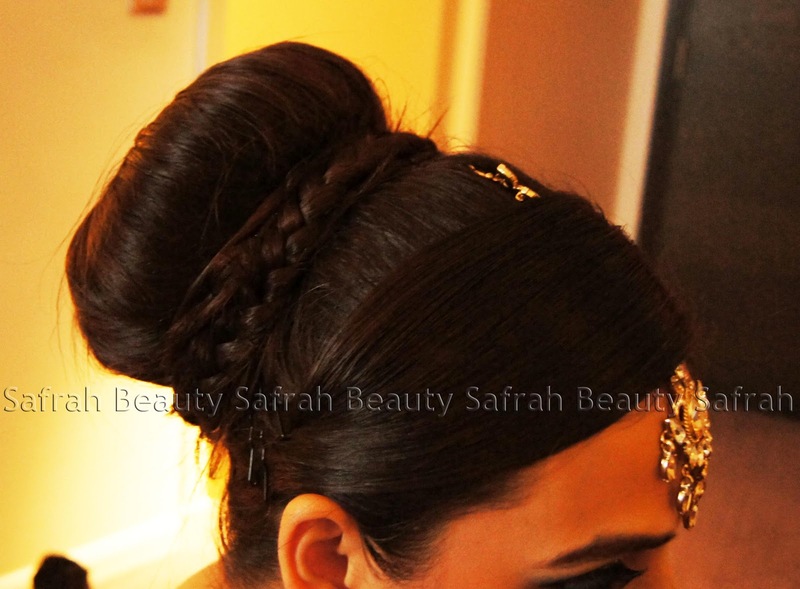 Be sure to join my facebook page Frootibeauty and our joint Safrah Beauty page for even more pictures including hair and mehndi/henna. I was recently approached by Epiphannie and LaaLaa to join a tan project for Women Of Colour (TFWOC) and happily agreed as I do feel that certain parts of my body don't see enough sunlight and are therefore more lighter than my face or hands! I also quite like that "just back from holiday"/sunkissed look on my arms etc. A lot of people may be thinking: why is she tanning for, she's already got colour! But as I said I like the sunkissed look and really am against the usual ethnic stereotype of "whiter is better". I'd like to make a stand against these old stereotypes and I actually think I look healthier (and slimmer) with a tan and feel a lot prettier! top: bare arm, bottom: Shimmer Tan Boost arm! As you can see, there's only a hint of colour difference between the two arms but the shimmer is totally there. I'd use this product on the body for a bit of shimmer and maybe the shoulders too, however not on the face at all unless you want to resemble a disco ball! Packaging: I quite like the dinky little bottle (which is only trial size 50ml) and like the gold labelling; gives it a luxurious feel. Texture: The product is a golden mousse-y cream like texture. 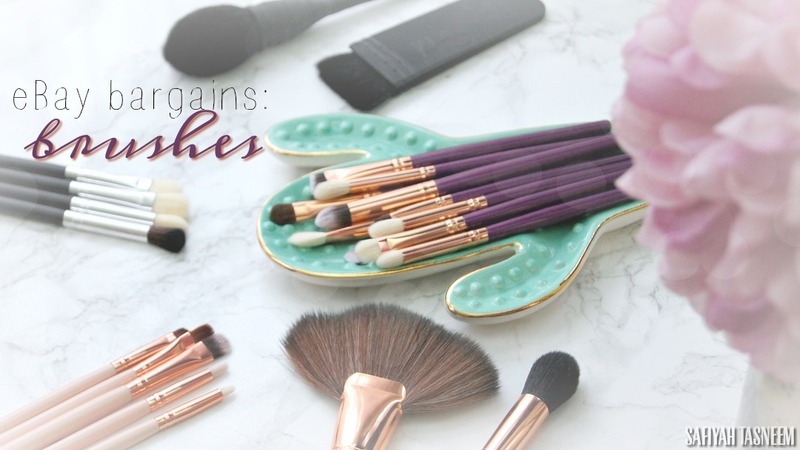 Key Ingredients/Facts: Abi-O generally do paraben and cruelty free products (woop!) and in this particular product natural and organic ingredients are used. Key ingredients in the Shimmer Tan Boost include: BIO Active Aloe, 2.5% Ecocert DHA (the tanning agent) and shimmer mica. Smell: The Shimmer Tan boost has no particular smell when first pumped, however after about 5 minutes or so, a not so pleasant potato-ey smell emits from the body; not nice! It was quite pungent and made me feel totally paranoid about the smell whilst wearing it! Who this would be perfect for: As the Shimmer Tan Boost only contains 2.5% DHA, it's perfect for tanned, brown or black skin. There's barely any visible difference in colour between the two arms above which wasn't enough for me, however for darker skin tones I think this product would be great for a bit of shimmer. FrootiFactor: I quite like this product; from the packaging to the shimmer, however I think the smell put me off wanting to try it again; I've used St Tropez before and the smell is a bit more warmer (my husband describes it as "biscuit-y") but this tanning product only smelled of potatoes to me! I think this is probably because it does contain natural and organic ingredients and one thing I've noticed about organic products is they mostly smell quite bad. For this reason, it loses a full 2 FrootiFactors as I am very into nice smelling products, but for those who prioritise ingredients, this would be a great alternative. 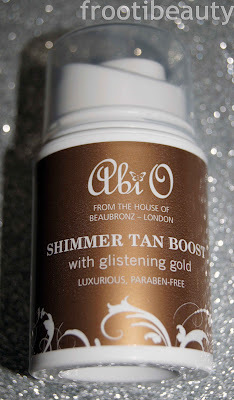 The Abi-O Shimmer Tan Boost can be bought in both 50ml trial size (£8) and 200ml full size for £26 from the BeauBronz website. 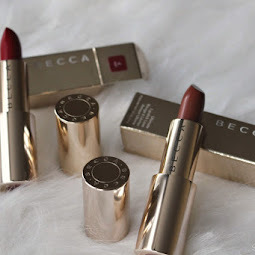 So this is my first instalment of TFWOC reviews, I'll try to post my progress with the different brands I've been sent and let you know my thoughts! What do you think of tanning products for ethnic skintypes? Do you agree with me in thinking tanned/sunkissed skin looks healthier? I'd love to hear your thoughts below!